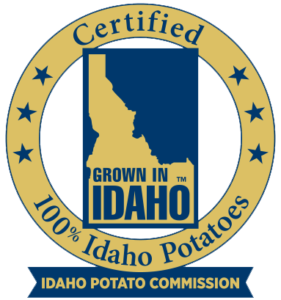 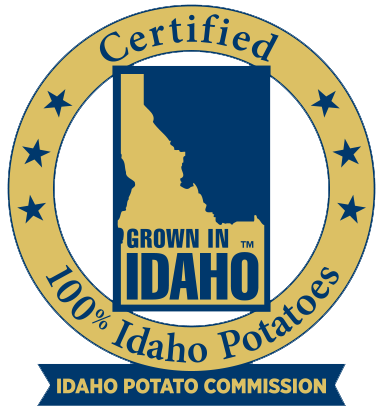 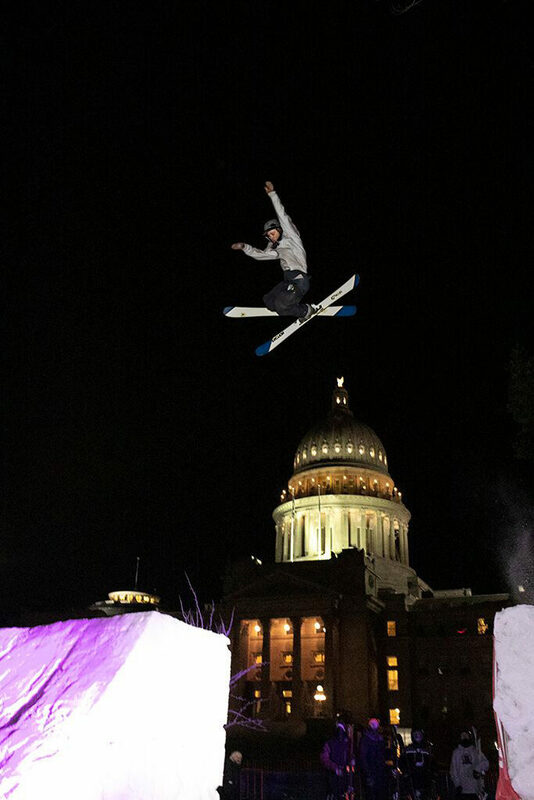 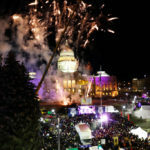 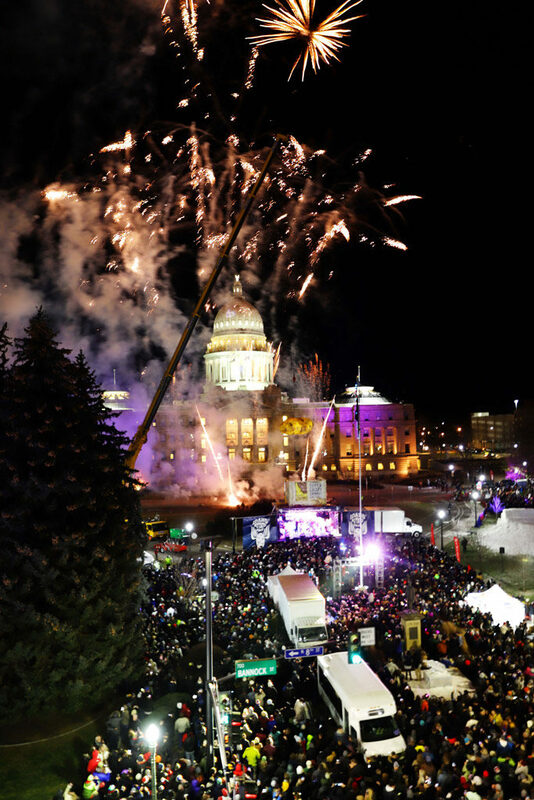 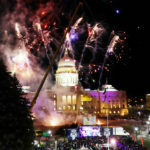 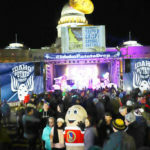 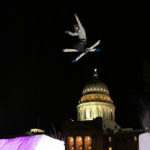 HUGE IDAHO® POTATOES, FIREWORK SHOW, RAIL JAM AND LIVE MUSIC AT THE IDAHO STATE CAPITOL NEW YEAR’S EVE! 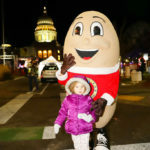 Idaho’s signature holiday event that can only be truly experienced LIVE at the Idaho State Capitol! 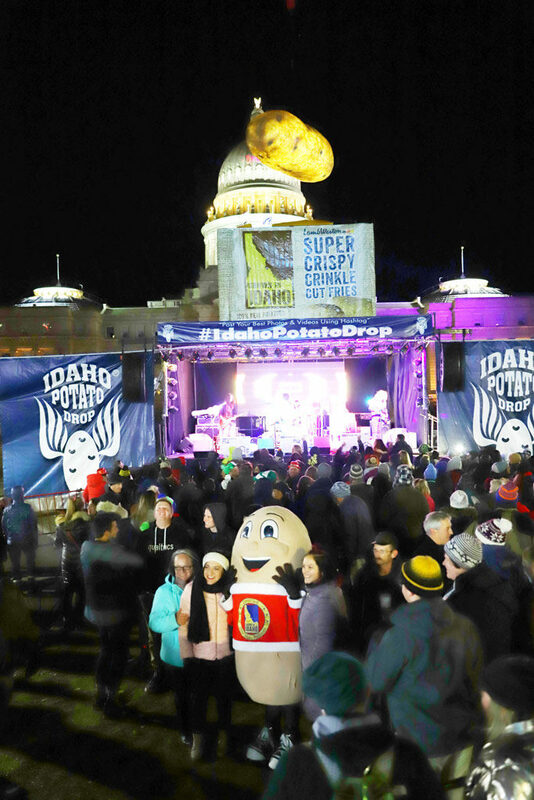 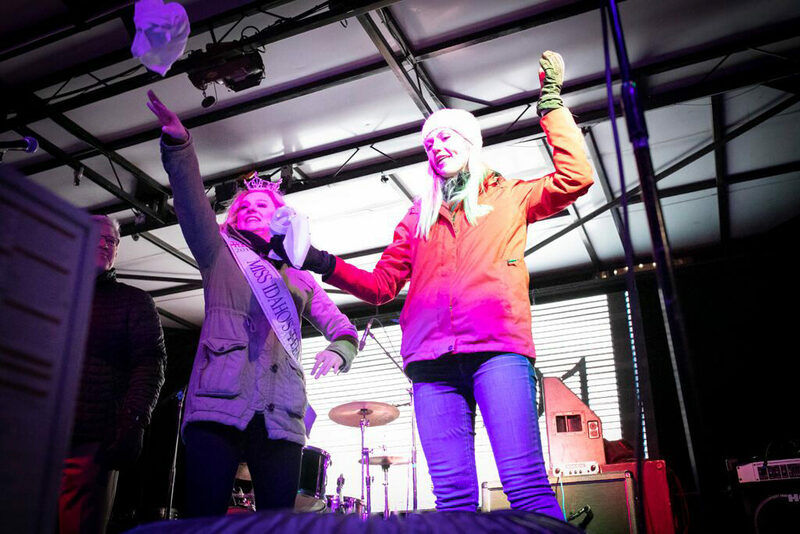 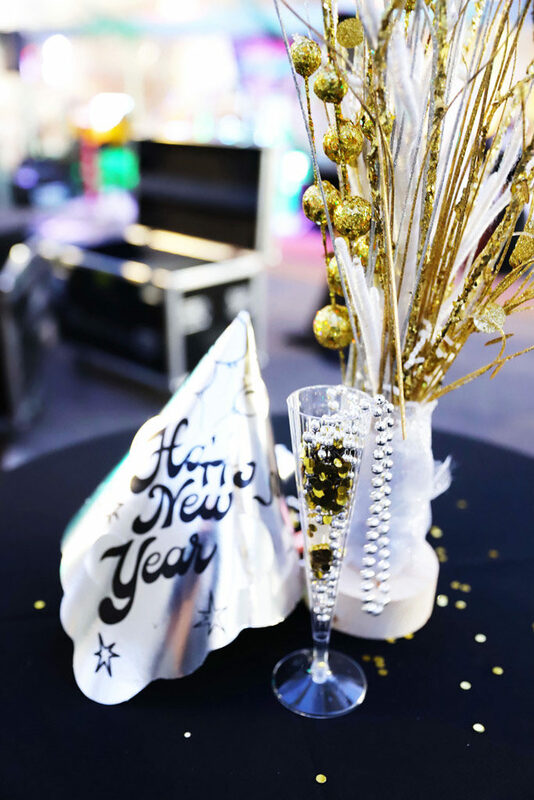 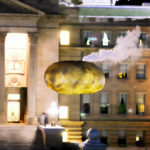 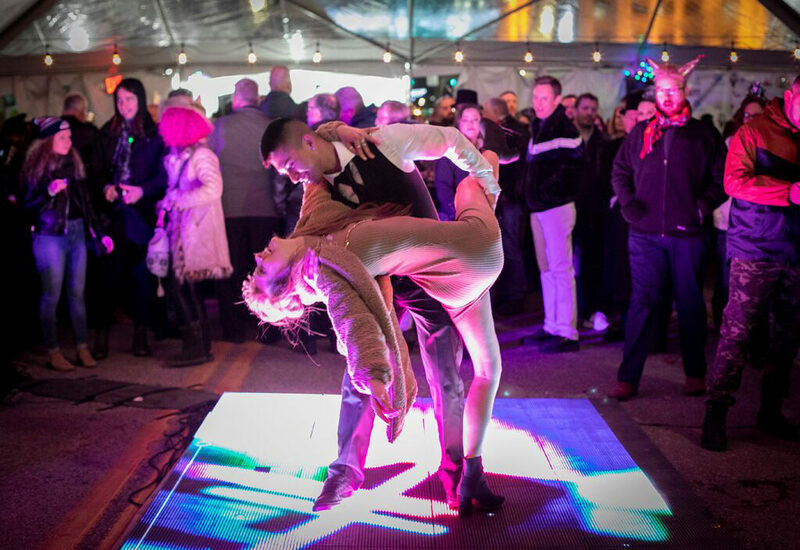 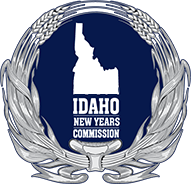 The Idaho® Potato Drop is a free and charitable world-class New Year’s Eve destination that supports local arts, business and charities. 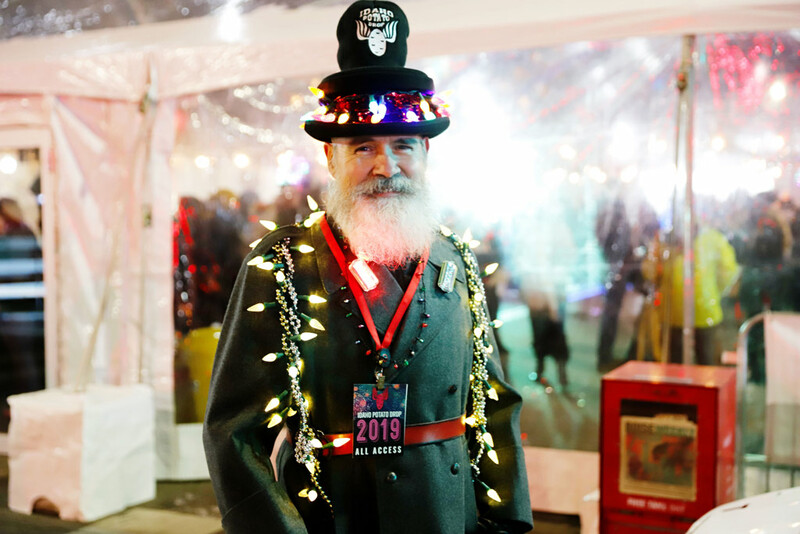 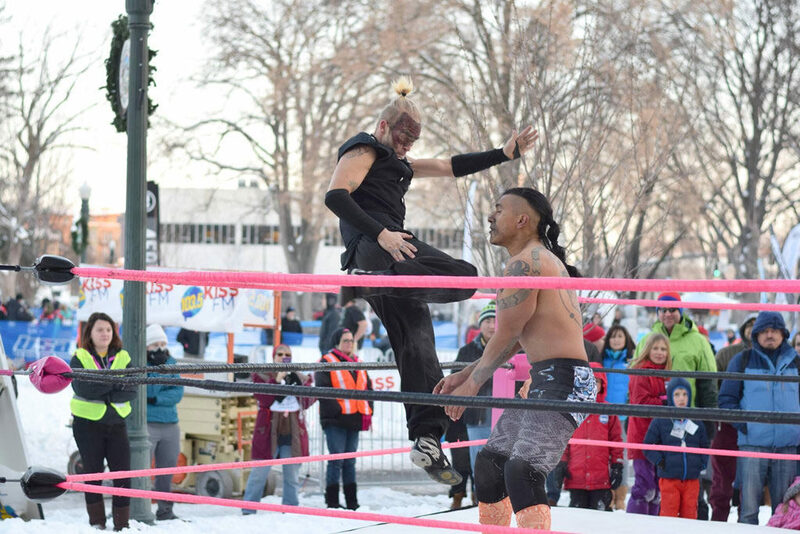 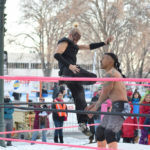 KTVB was on hand, interviewing athletes, artists and “Spec-Taters”, broadcasting live across NBC stations in Cecil D. Andrus Park featuring music, sporting events and live art for the 2018-2019 New Year’s Celebration . 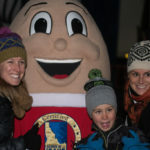 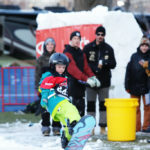 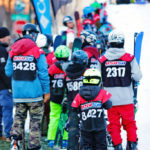 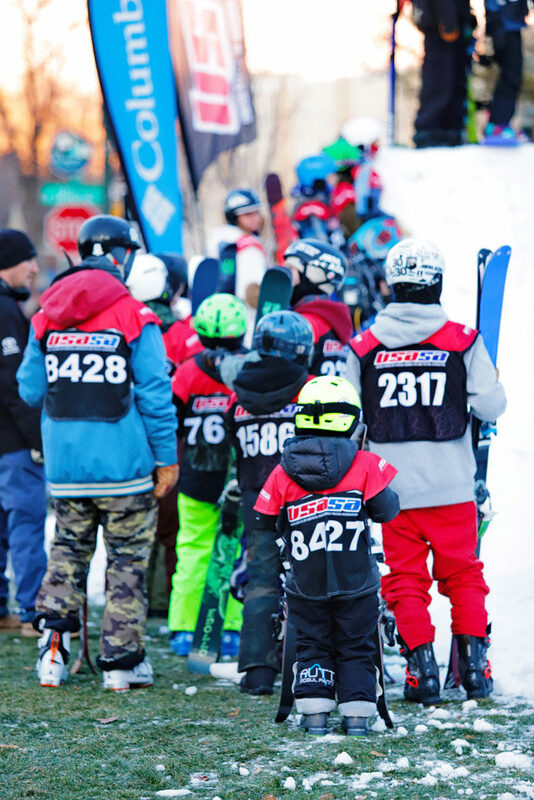 The USASA-sanctioned “Big-Air Rail Jam” was sponsored by Inland Northwest Toyota Dealers, and was truly “Spud-Tacular”! 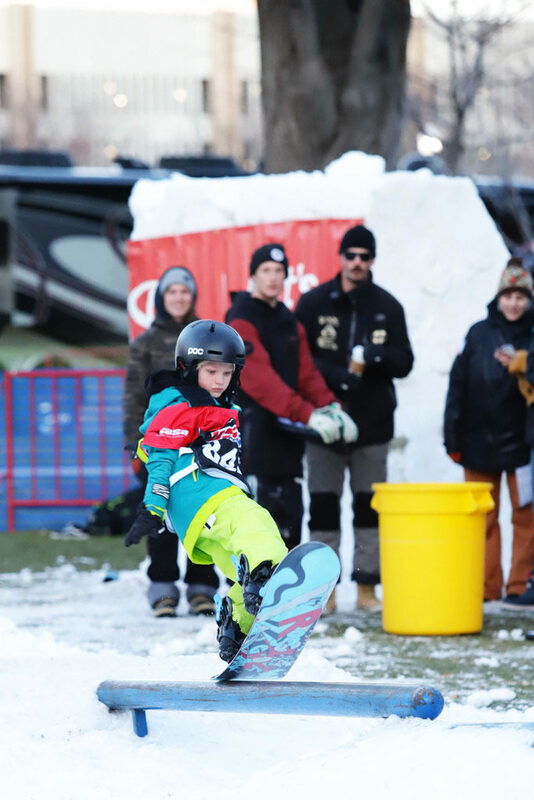 The cutting-edge snow park was built entirely with snow and utilized crank pulleys, kickers, rails and a quarter pipe built by Gateway Parks! 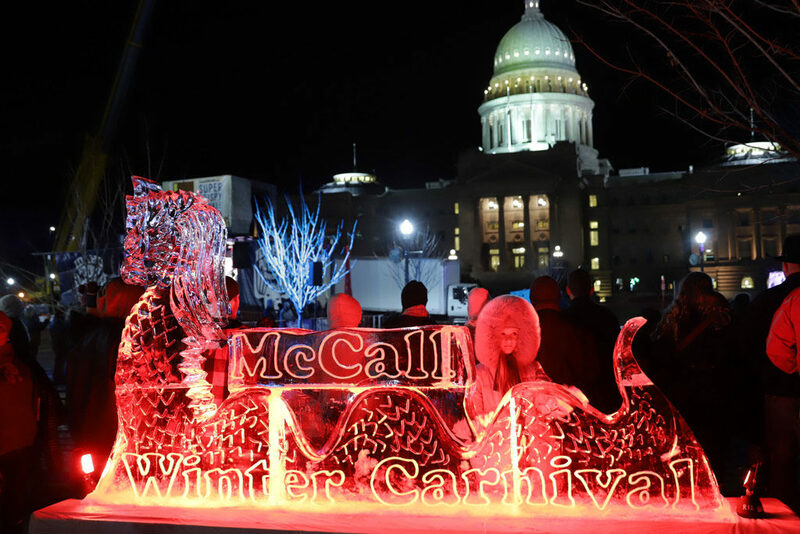 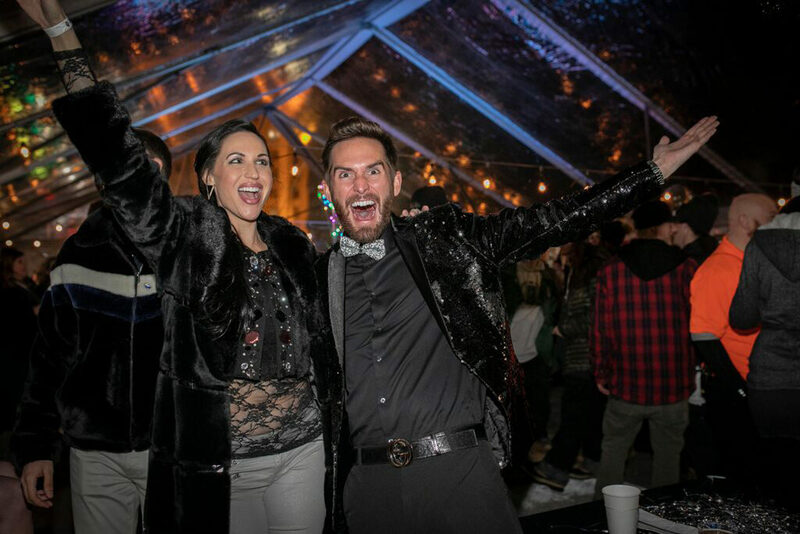 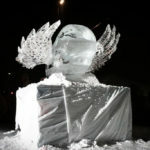 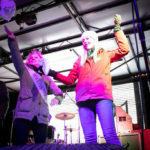 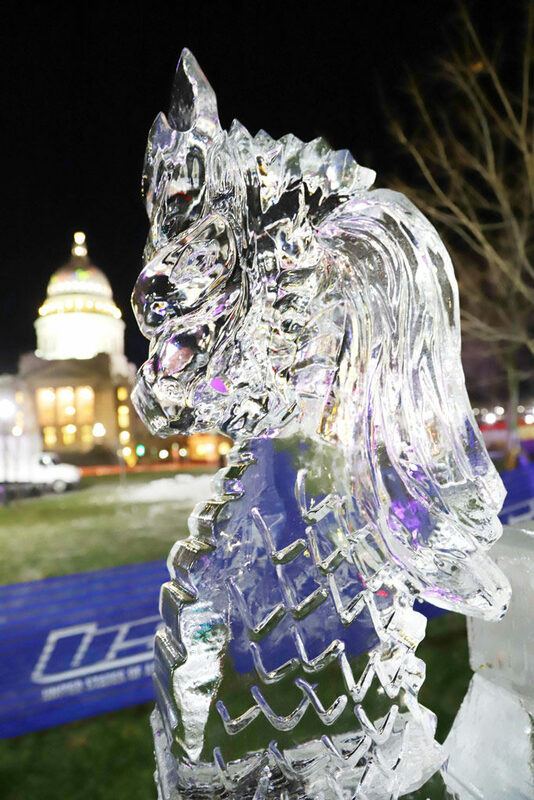 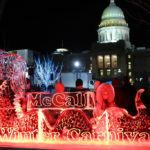 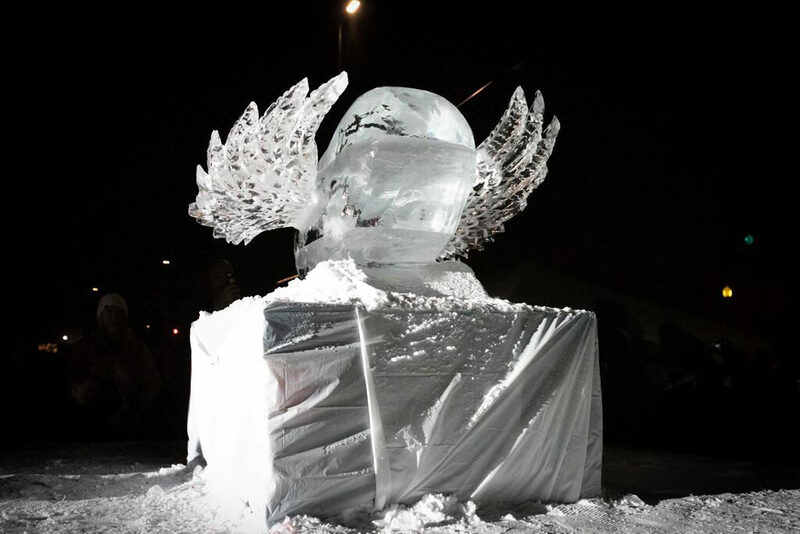 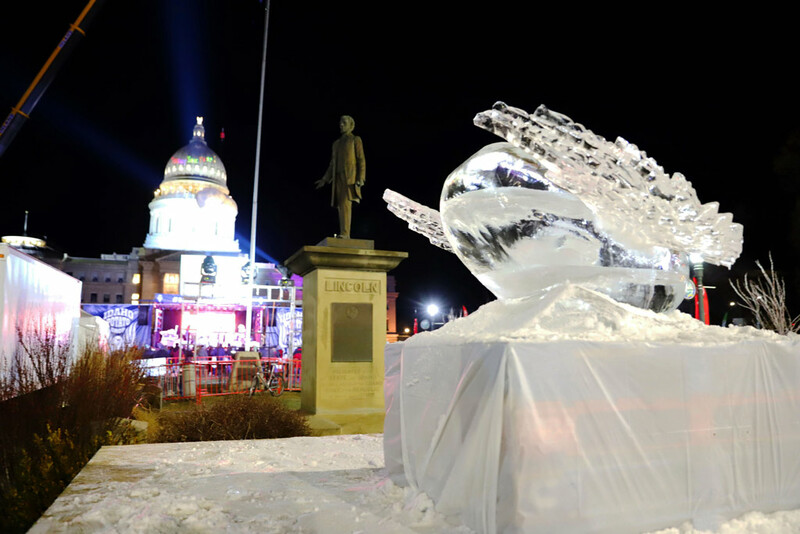 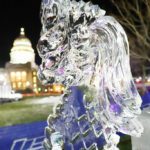 McCall Winter Carnival was on hand dazzling the crowd with live ice sculpting. 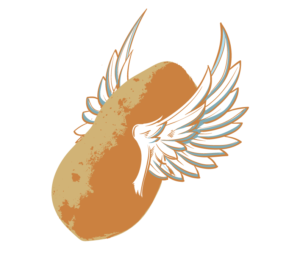 Wrestle Club battled once again for the “Potato Belt Championship”. 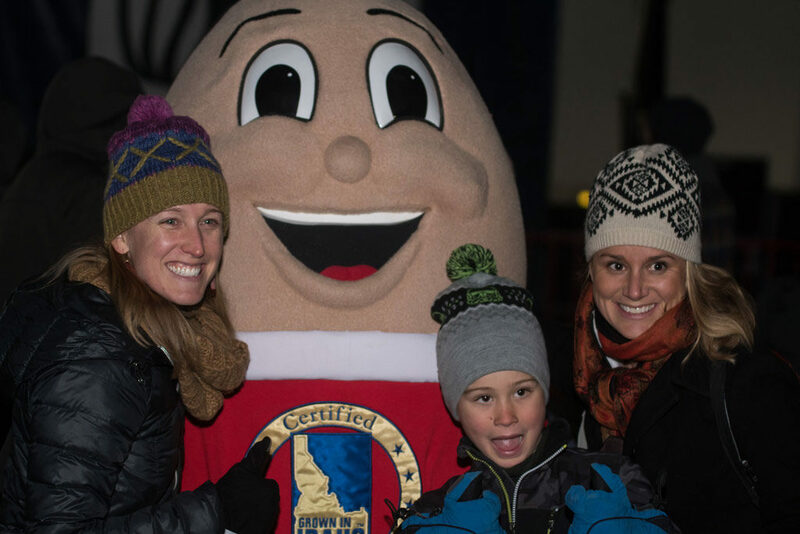 Families enjoyed the fun activities, and non-profit vendor booths in the free and heated Mountain America Credit Union Family Tent. 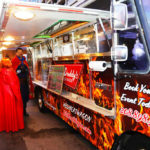 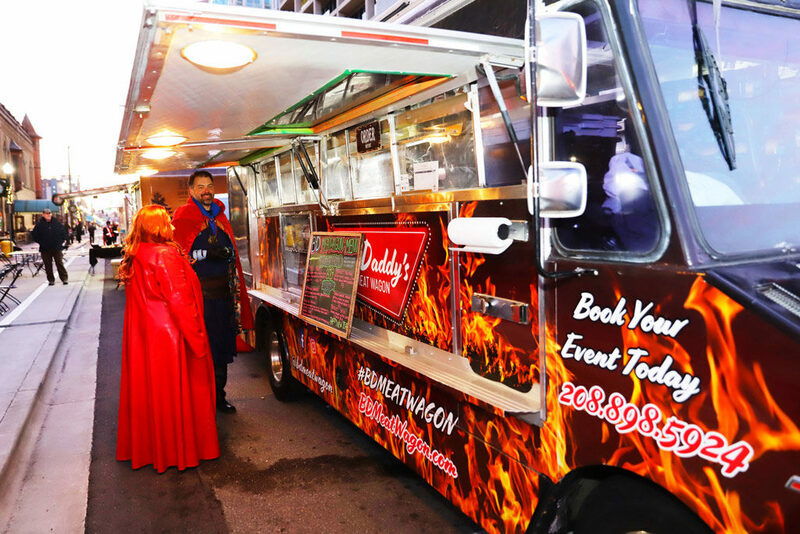 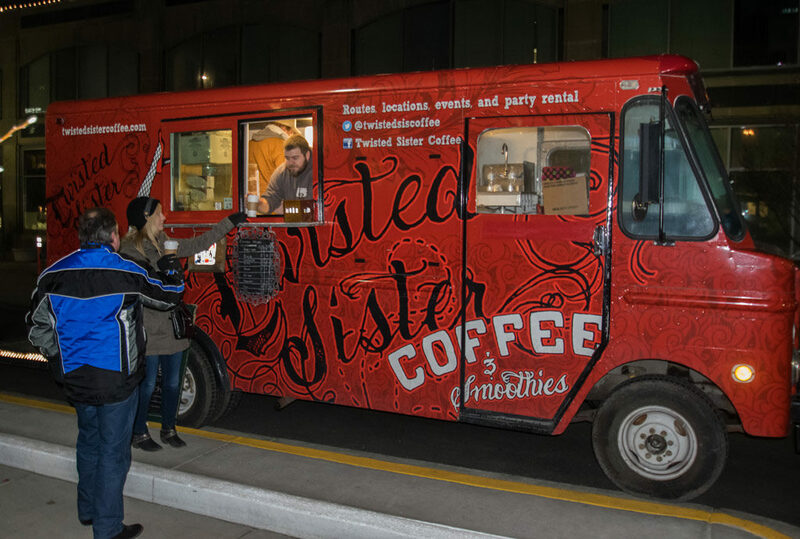 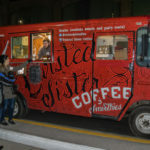 The Local food trucks heated and filled new year’s bellies on Capitol blvd. 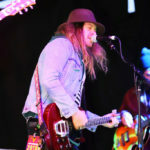 and the all ages Highlands Hollow beer garden was set up throughout Cecil D. Andrus Park. 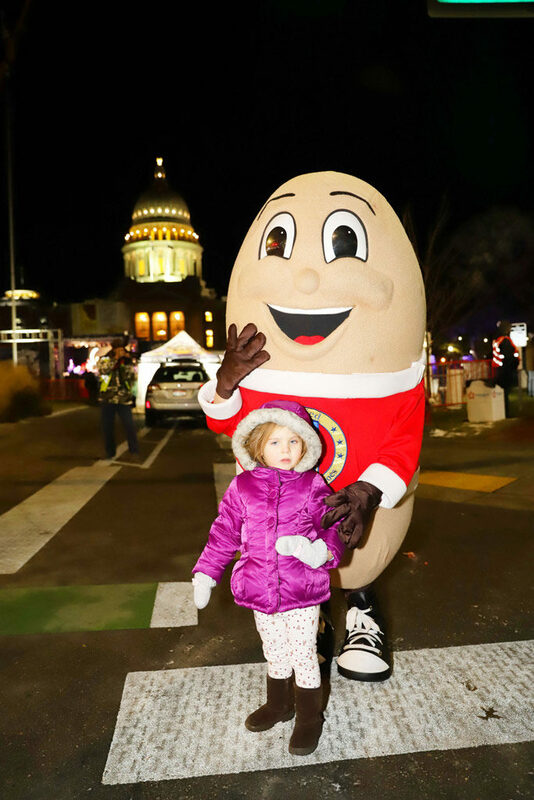 We captured lots of pictures with Spuddy Buddy and the Big Idaho® Potato Tour truck! 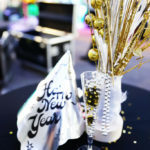 The Cumulus VIP Room was connected to the adjoining Saint Lawrence GridIron restaurant, with festive craft-cocktails, Hors d’oeuvre’s and optional plated gourmet meals. 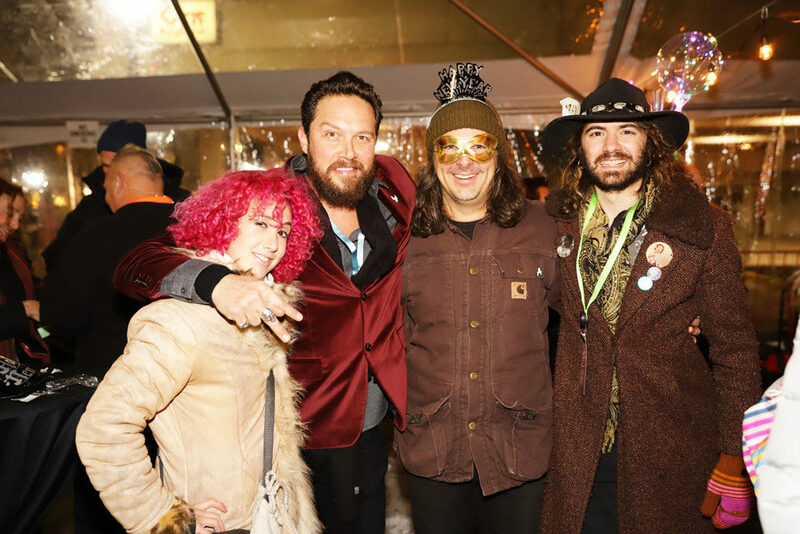 VIP guests enjoyed 360 degree views of the event, while experiencing intimate acoustic performances from Jeff Crosby, Matt Hopper and more. 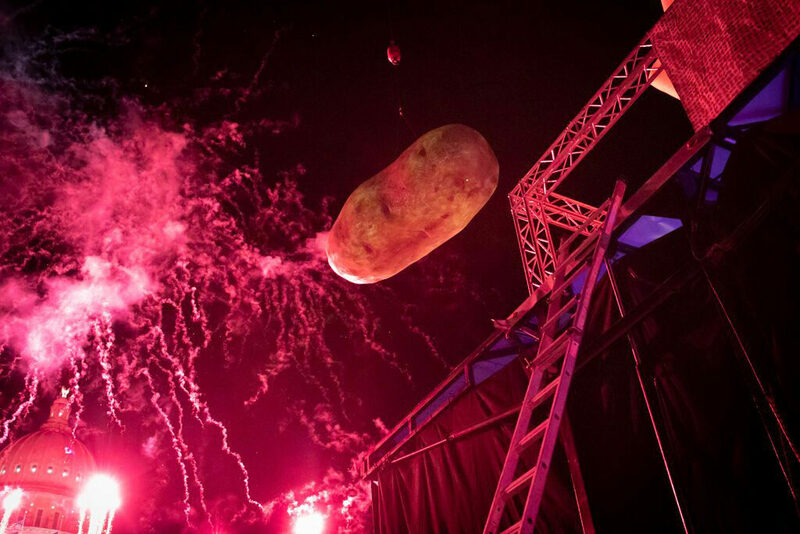 DJ Jett Rokk (Portland) moved Spec-Taters onto the LED dance floor and into orbit with a Jett-fueled setlist. 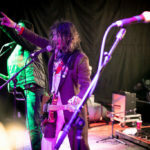 Casio Dreams kept the floor rumbling with your favorite 80’s hits just before partygoers tickle their funny bones with the zany comedy of Lady Bizness. 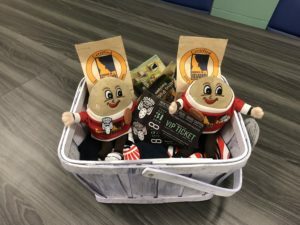 VIP raffle winners were awarded with Big-ticket prizes, such as 5 day, 4 night Mexico Vacation Packages, a Snake River Spas Hot Tub and Idaho® Potato Drop merchandise. 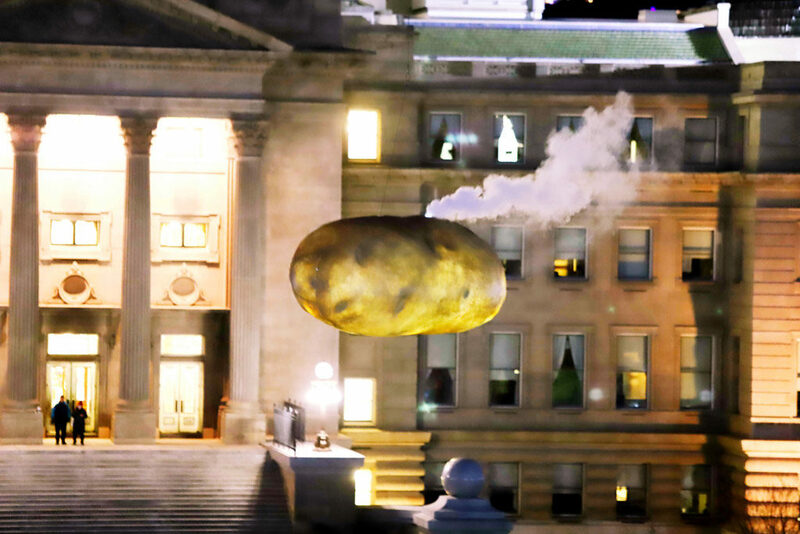 The World-Famous #GlowTato ascended at 6:00 PM for the Idaho® Potato Rise, with a special rendition of the Star Spangled Banner. 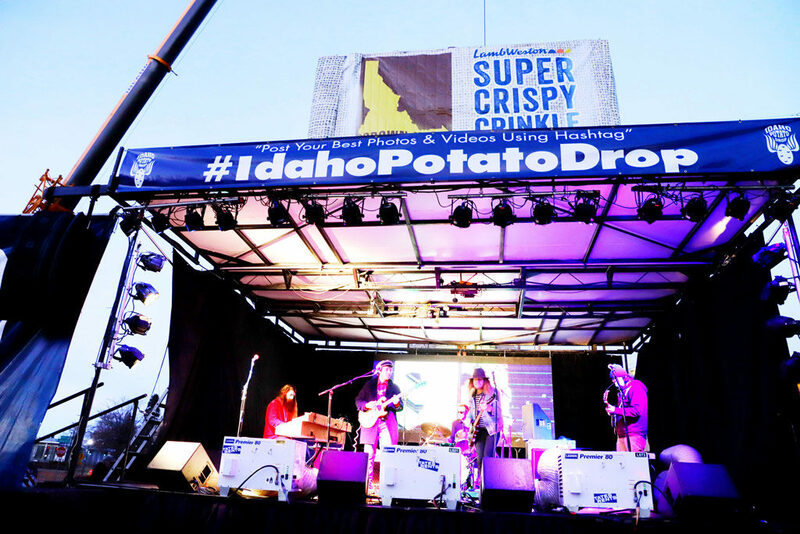 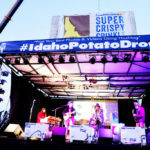 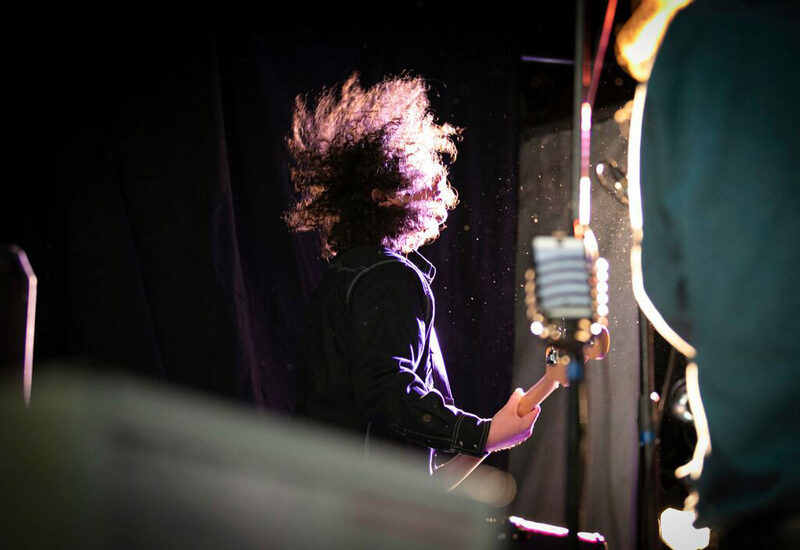 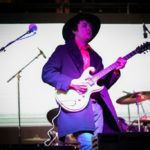 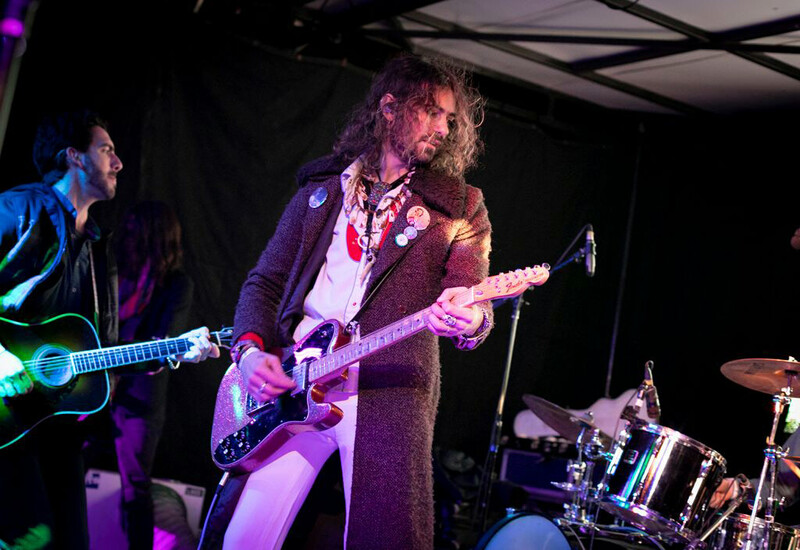 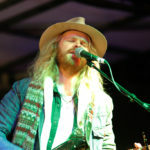 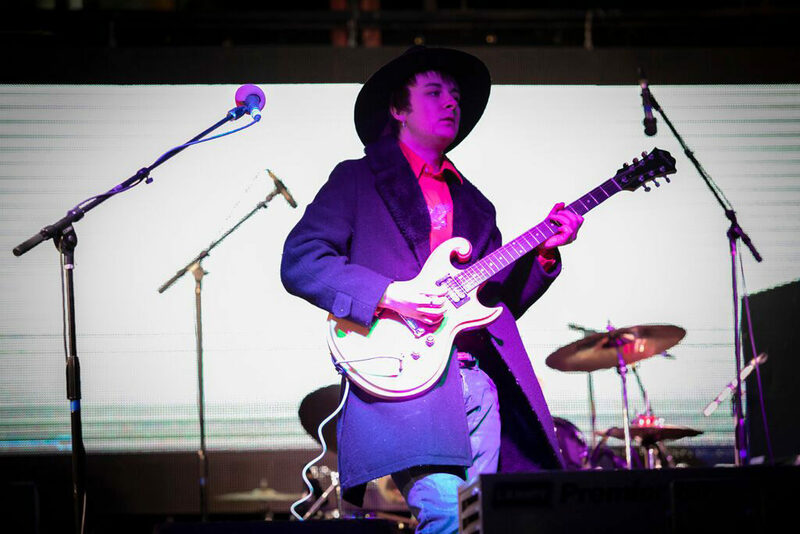 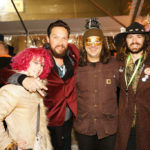 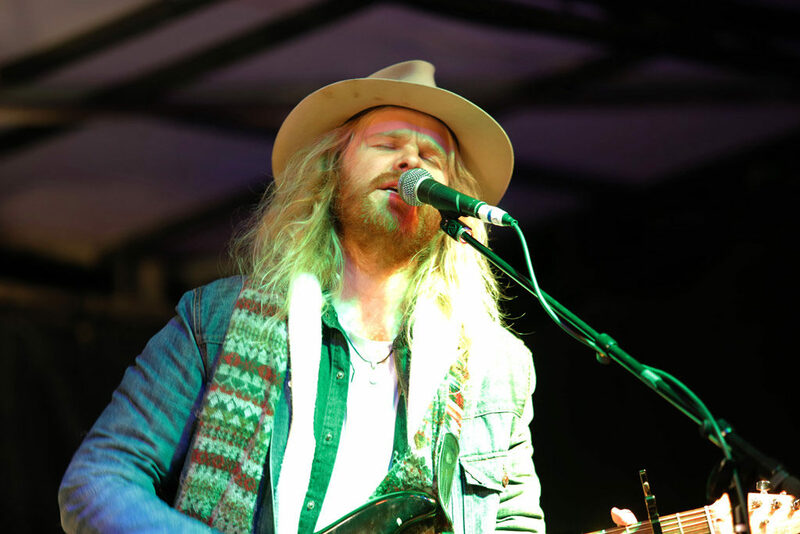 Our Main Stage partner Grown in Idaho® featured a strong and talented musical lineup. 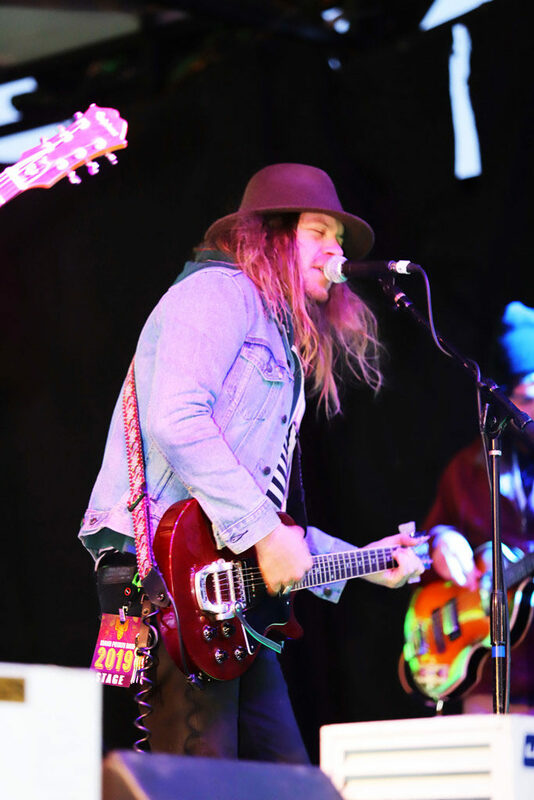 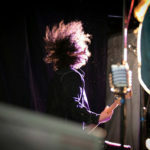 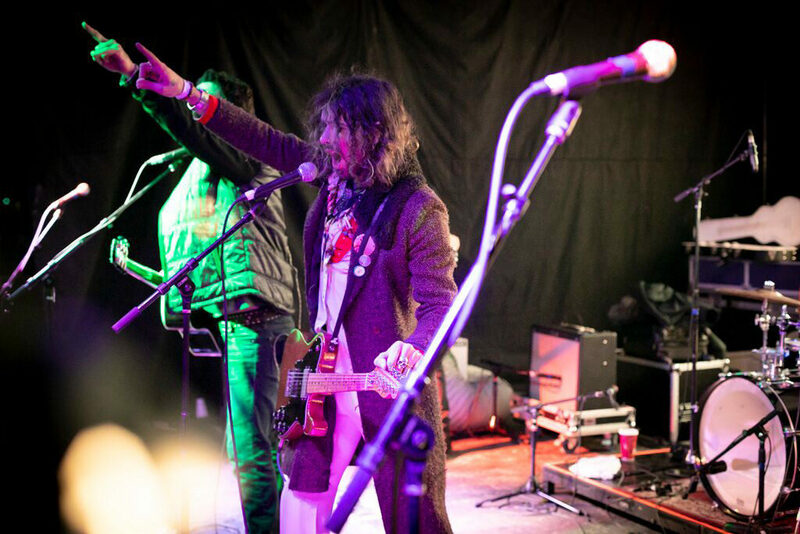 In alphabetical order: American Mile, Boise Rock School, Gipsy Moonrise, Jeff Crosby, Marshall Poole, Matt Hopper & The Roman Candles, and Red Light Challenge. 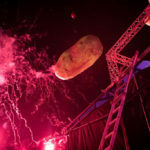 At midnight, Inland Crane made sure to #DropItLikeItsHot while Spec-Taters enjoyed our World-Class Fireworks display! 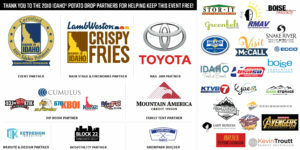 OUR SPONSORS LOVE OUR COMMUNITY!